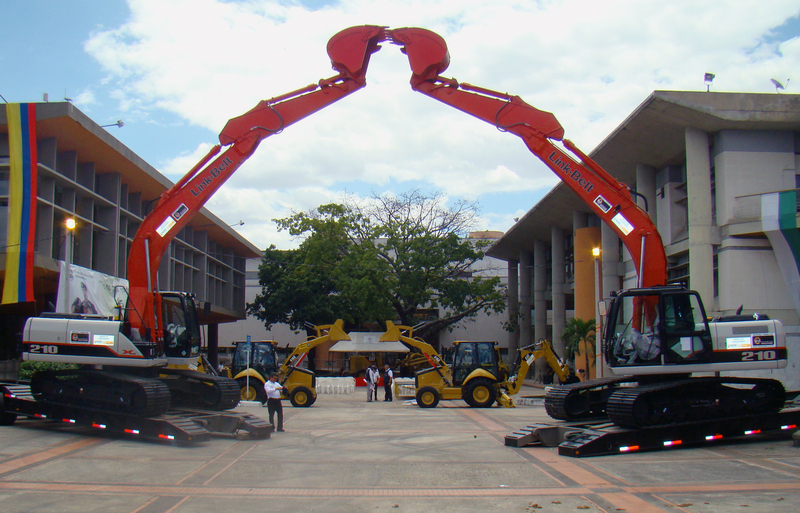 LBX Company, maker of Link-Belt excavators, through its authorized dealer Partequipos Maquinaria, has been awarded a bid for 52 Link-Belt hydraulic excavators by the Colombian Government. The sale consists of fifty Link-Belt 210 X2 excavators over tracks and two Link-Belt 210 X2 amphibious excavators over floatation tracks, adding up to a sale of nearly US $10 million in equipment. LBX’s International Business Manager, Ed Gerber stated, “this accomplishment was possible due to the excellent work performed between Partequipos, LBX’s commercial team and LBX’s Japanese manufacturing plant’s prompt response to the modifications required by the Colombian Government. In addition, we take great pride that the Link-Belt Excavators also surpassed other competing name brands in both quality and performance”. For more information contact Lisa Bemis, Events & Promotion Specialist, at lbemis@lbxco.com. In Brazil contact Marcos Assis, Marketing Manager, at massis@lbxco.com.